The South of Ethiopia is colourful, jarring - and full of photogenic motives, that know, how to attract the cameras. No wonder, that tourist groups always come here - day by day. Let the curtain rise for a show at the human zoo. The sign of Addis Abeba vanishes in the thick smog of the capital. The jeep jiggles, while the driver manoeuvres his way through the thick holes in the floor as if he had years of experiences. Donkeys, goats, cows and numerous herds of sheep join together to block the road. Rush hour? Nothing they would be slightly bothered by. 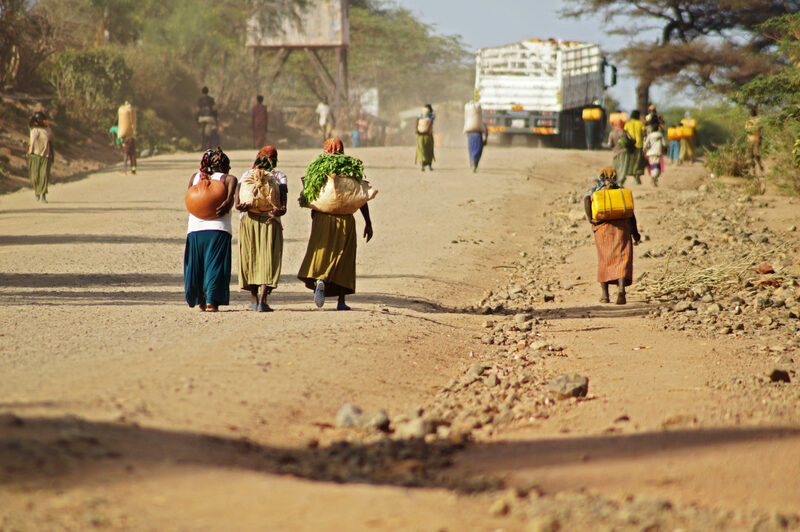 The journey from the capital to the South of Ethiopia is a 600-kilometre long one, that passes lonesome areas, moves along fertile fields and through villages, communities and small cities. It also leads to the region “Southern Nations, Nationalities and People’s Region”. 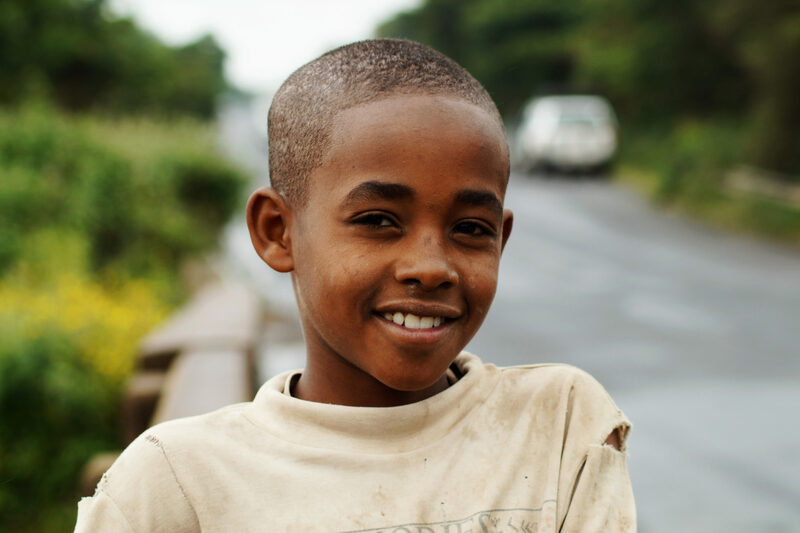 A region that owns its name by being authentic, real and original and, which is home to Ethiopia’s colourful ethnic groups, that conserve their traditions and culture to the fullest. Four hours after the car has passed the roads of Addis Abeba, the streets are getting emptier. Now, only the 4WD-jeeps of the tourists and the locals’ cattle fill the streets. Even houses disappear in the vast fields. Only, once every kilometre, small huts emerge at the end of the flickering road. Huts, which resemble anthills made of hay and stones and which are the houses of the ethnic group of the Konso. The Konso people are the Ethiopian agricultural champions. 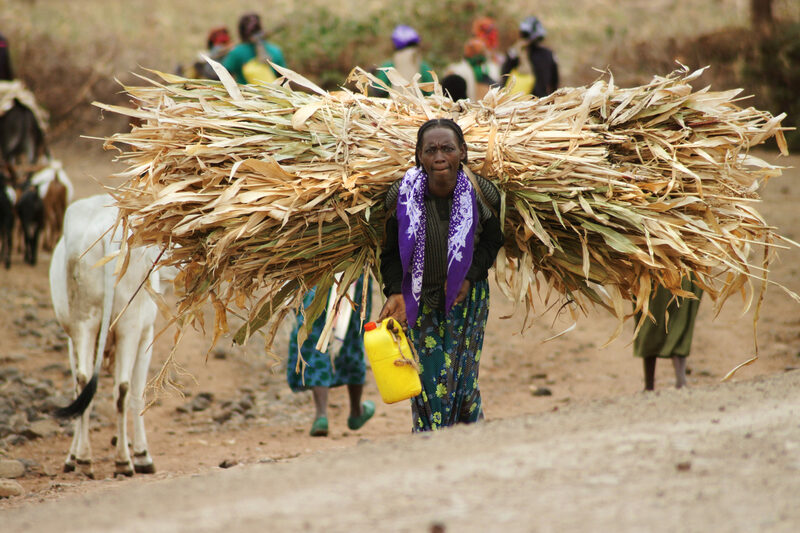 Wherever you look, young girls and elderly women carry huge bales of hay on their back and boys and their fathers move their livestock around – despite the unavoidable 40-degree-heat. It seems as if they fulfil their fixed duty, one by another, and as if nothing, absolutely nothing, would make them stop their work for only one second. Nothing, except for tourist cars stopping on the side of the road. Kids, women and men, alike, storm out of the bushed towards the road. They leave their dedicated work and run, with or without cattle, towards the tourists’ cars. The closer they get, the quieter they are – intimated by and afraid of the new white gang that just touched ground in their land. With eyes wide-opened they collectively stare at the foreigners, trying to eternally save this picture in their heads. A focus, that is only disturbed and stopped by the car, slowly rolling towards the horizon. Until the sun sets, the Konso people busily work outside, day by day, and build entire fields in form of terraces with obsolete tools, that might make it to one of the hip shops in European cities such as Berlin, London or Paris. The rusty, shabby-chic ones. 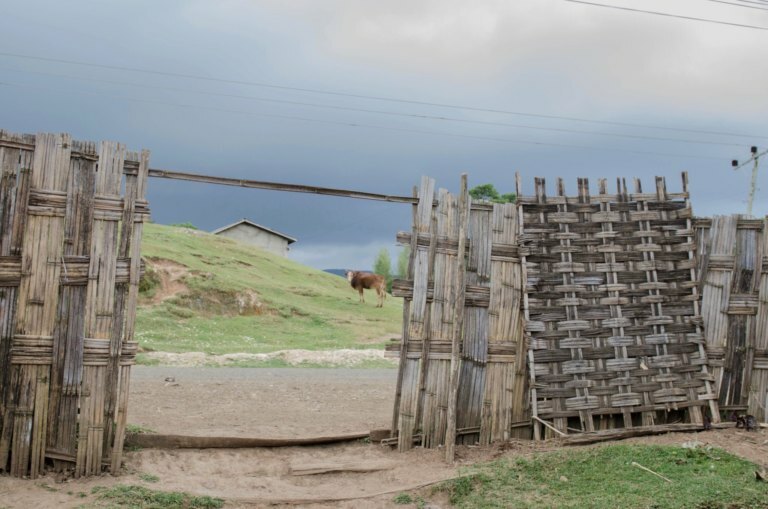 Besides, they build houses and take care of their cattle and once it gets dark, they carry the last bails of hay home, in order to give it to the cattle that lives with them, functioning as natural heating. Entertainment show in the Dorze village – or human zoo? The car carries itself up the curvy streets. This time it doesn’t stop for livestock, but for children, shaking their butts like little professionals – right in the middle of the street. “It’s their traditional dance”, explains Sisay, the driver, who comes from Addis Abeba and who has been on this trip several times already. These are the children of the ethnic group of the Dorze. They prepare tourists for their visit before they even reach one of the villages here. Whoever wants to have a photo needs to pay and whoever does not take a photo will be thanked by stones, landing on the car’s windows. The land of the Dorze is only half as farmed as the one of the Konso. Still, it is green, but barren. Also, the streets are barely filled with cattle or busy locals. Quite the contrary: Dorze men like to meet for walks. Doing so, groups of men walk the streets of their, hoping for a tourist car to pass by. And once this happens, a crazy Rastafarian man stops within mille-seconds and jumps into the car – a smile as wide, it reaches both of his ears, and clothes as shiny, as if they are newly bought at one of the markets in the area. His Nike shoes are polished. Happy and excited he starts with his explanations, that he knows by heart. 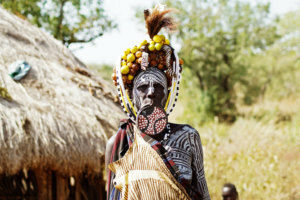 The village of the Dorze people is located in the heart of Southern Ethiopia, close to the city of Arba Minch. “Look, this one here is a traditional house. This is how we live. Take a photo. Also of the animals! It’s fine with flash,” the mid-thirty rasta-man explains overly motivated. The goat, that has its stall right next to the parents’ bed seems to be used to tourists, that occasionally visit the village. The guide jumps in front of the flash, ready to take the tourists out of the traditional house and into the daily village life. “My sister is baking bread, using the fruits of the false banana tree, we should go and watch.” He starts walking quickly as if he only had a couple of seconds to watch of the brilliant spectacle taking place, probably, on a daily basis. The most important ingredients for almost all traditional dishes of the Dorze grow right next to each other: The false banana tree, the true banana, coconut trees and many other, leading the way to the end of the village where loud voices already mark the surrounding. “Welcome to the Dorze Bar”, the guide shouts, with a grin, that is so infectious, it is impossible to resist to join. The Dorze Bar is an improvised hut with bamboo roof and also the place where the men of the village meet in the afternoon to have a chat over a strong and burning sip of the locally made Schnaps. White and crystal clear, this liquid burns each gorge down. The sound of chinking glasses is getting closer, the cheers of the men louder. A visit of a Dorze village is unique. It is entertaining and somehow amusing. Above all it is quite an investment, given the amount of 600 Birr, that needs to be paid in the end. However, with a sip of Schnaps even that gets a little easier. A couple kilometres further South, the Great Rift Valley stretches its beauty in front of the wide terrace of the Paradise Lodge Hotel. During sunset, tourist groups comm here to be, for once on this trip, be amazed by the purity of the Ethiopian nature – and not of its people. While drinking a glass of imported red wine from South Africa and a plate of freshly grilled fish, whose odour fills the wooden restaurant with its full width, the upcoming day with more visits of Ethiopia’s ethnic group can be planned virtually. Southern Ethiopia is colourful. It is wild and maybe even a place to which some visitors might get used to in the beginning. Along the seemingly never ending streets, the mix of tradition and small local businesses often feels overloaded. 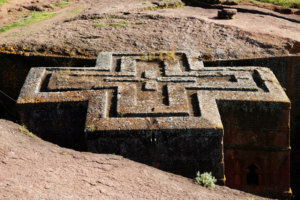 Despite, it is especially the hidden corners, right behind the surface, that host Ethiopia’s purity – far away from camera flashes and excited tourists. Back there, the country’s ethnic groups lead their daily lives with dedication. No wonder that, once in a while, a colourfully vested man crosses the streets, his eyes focused in a beastly cold way on the tourist jeep. Within the last years, Southern Ethiopia became a true attraction – for tourists and locals alike. It became a museum, a human zoo in which locals take money from tourists for performing dances in the streets and for entering the homes and their villages and a museum in which tourists fill entire SD-cards with memories from a truly magic trip. Both parts of the museum have potentially been fostered by both parties. The car passes villages, people and lazy livestock. It rushes up North, towards the capital. A magical trip, which is unbelievably unreal and tangibly true at the same time, is slowly coming to an end. SD-cards and minds filled with memories, that can only be digested once the sign of Addis Abeba is coming closer, once the big city jungle can be smelled and felt at the same time and once the hustle of the bustle of the capital is reaching its peak. The trip has been supported by Paradise Ethiopia Travel, African Dreams and Ethiopia Airlines. More about transparency standards and journalistic independency can be found here.